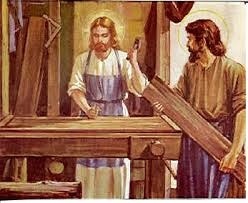 The carpenter's are those people who are the work in wood. He makes chair, table and wooden beds and ploughs and carts for the farmers. 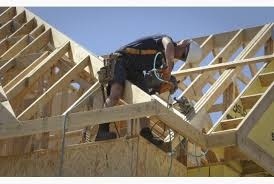 Builders have to employee carpenters to make door, window, frames, floors and beams for the roof . They used that things for the building, houses and offices. A carpenter must have its own tools. He use all these tools for making the things of wood. Mostly they use the hammer and nails. They use these hammer and nails for combined the pieces of wood in the desired shape. 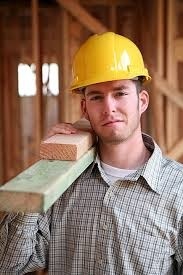 The work of a carpenter is skilled labor. It takes a long time to learn to do the work properly. 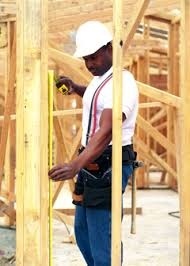 A carpenter has to use his tools, he has to have a good eye for correct measurement and he think about his work. He can make even a chair, he must think and make a plan of it in his mind, and to make it according to his plan. In Pakistan, the art of doing carpenter' s work is taught to the son by the father and this process will be go on for generation to generation. The carpenter feels pride from his work. An honest, clever and hard working carpenter can make a good, solid and beautiful things. It is not enough to make a table, chair, but the carpenter who takes pride in his work will want to make special type of solid wooden things and designed these things with a beautiful shape which are used for different purposes. He made that type of chairs, tables which are used as a decoration. 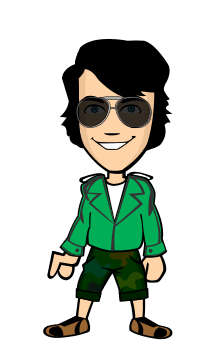 In short, are carpenter is a very useful and important worker in the society. It is the carpenter who makes furniture for us and so many decoration things for our houses. He makes different things for our comfort. He has to work hard and spend his whole life for making beautiful and comfortable things. In Pakistan, the things for making by the hand of carpenter are very beautiful and famous in the whole world because they are made that type of wooden things which are very solid and no one damage it with a special type of emboradory on it having a beautiful flowers.